Recently I’ve genuinely found myself wondering whether certain people might actually prefer Liverpool not to be involved in a title race. Every season we all seem to say that all we want is for the Reds to be there or there abouts at the business end of the campaign, yet now that we seem to be in that situation heads are going all over the place. People have been saying for ages that haven’t been playing well; one of the biggest hopes from most quarters is that we ‘click’ again. We did exactly that against Bournemouth, playing some brilliant football and looking back to our best, but the fact that Manchester City beat Chelsea 6-0 apparently means that it’s irrelevant and that the title is now theirs to lose. I’ve had people genuinely tell me that Pep Guardiola’s side won’t lose again this season. Apparently a team that drew with Wolverhampton Wanderers and lost to Leicester City, Crystal Palace and Newcastle United is unbeatable. Don’t get me wrong, City are an exceptional side. That so many people honestly think they won’t drop any more points is testament to just how strong they are. That the Reds have the ability to go three points clear of them after the same number of games if we beat Manchester United at Old Trafford is actually quite remarkable. It just amazes me that people seem to be annoyed that a team that racked up 100 points last time out and has the wealth of an entire country behind it is level on points with us having played a game more. I will be devastated if we don’t win the title, but I won’t be calling the team ‘bottlers’ or anything so ludicrous. We’ll have been beaten to the punch by a genuinely exceptional team and I can’t understand the mentality of some supporters being fuming that we’re not twenty points clear. Language, though, matters. The wait for Naby Keïta’s arrival seemed interminable. We were linked with him for the entirety of the summer in 2017 and even when it was eventually announced that he’d be a Liverpool player it came with a year-long wait. In the transfer-hungry world we now live in even that wasn’t good enough. 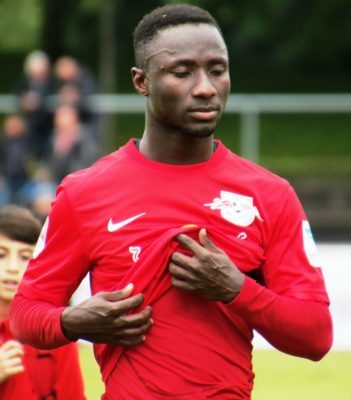 Many felt that the departure of Philippe Coutinho in January of 2018 would mean that the Reds would pay a further premium to RB Leipzig in order to get the Guinean in early, so that month was also awash with Keïta talk. It meant that by the time he eventually arrived on Merseyside plenty of the club’s supporters were absolutely buzzing and convinced that he was going to take the league by storm. I said in the wake of his performance against West Ham on the opening day of the season that it was a very good display but that I was wary of supporters getting too carried away about it so early on, with some saying it was amazing and that he was ‘far and away the Man of the Match’. My fear was that people were exaggerating his performances and would then swing the other way when he didn’t play that well. It proved to be the case, too, with some people saying he was a ‘waste of money’, ‘terrible’ and ‘never going to get the speed of the Premier League’ in the wake of his recent poor performances. Speaking in such extremes is so unhelpful, though it’s worth pointing out that Keïta isn’t the first player to suffer it. The modern day example is obviously Jordan Henderson, who is not allowed to have a mediocre game by anyone. His detractors act as though a 6 out of 10 game is a disgrace to the Liverpool shirt, whilst those who defend him pretend the same performance is a game-changing one. What Henderson has suffered for most of his career is also what Lucas Leiva had to put up with. We all pretend nowadays that Rafa Benitez is revered by the Anfield faithful, for the Spaniard was hated by more than a few in the ground who bought into the media narrative about him. Lucas, as his general on the field, bore the brunt of that from some quarters and spent his career at the club swinging wildly from one extreme to the other. Keita seems to be the current player getting the same treatment, though the extremes are, at least, more towards the positive than the negative. When he turned the ball to lose Andros Townsend in the game against Crystal Palace back in August far too many people acted as though he’d reinvented the game. It was a lovely move and worth getting excited over, but the reaction of too many people was suggestive of a fanbase willing to forgive him anything. The result was that when he didn’t perform well the lovers would feel scorned and the language would change to the other extreme. The reality is that we all need to be a little bit better at not getting carried away one way or the other. His second-half against West Ham and his ninety minutes versus Bournemouth were both really encouraging, so let’s hope he builds on that slowly but surely. I don’t want to give the impression that I’m some sort of paragon of virtue. I’m just as guilty as anyone else of allowing my own personal opinion to come to the fore when I respond to certain situations. The reality is that we all have feelings about players for a myriad of reasons. There are those that we love unconditionally and those that we never like to see on the teamsheet. It’s the nature of football that we allow confirmation bias to influence our overall opinions and we can’t really fight against that. In the vast majority of cases, sensible football fans have these opinions because we simply want the best for the football club. For my own part, the players I least like to see are the ones that I think the team has moved on from. The likes of Adam Lallana, Daniel Sturridge and Nathaniel Clyne are high on that list. One change for #LFC as Gini Wijnaldum comes in for Adam Lallana. Shaqiri out with an abdominal strain, while Alexander-Arnold and Henderson return to the bench. I think we’ve seen over the past two matches what it is that I’m talking about. There was just one change in the lineup between West Ham and Bournemouth, with Lallana dropping out and Gini Wijnaldum coming back in, yet the difference in the two performances were worlds apart. That’s not just because of that change, of course, with numerous different factors leading to the 3-0 win over the Cherries. I do, though, think that it’s indicative of the sort of thing that I mean. 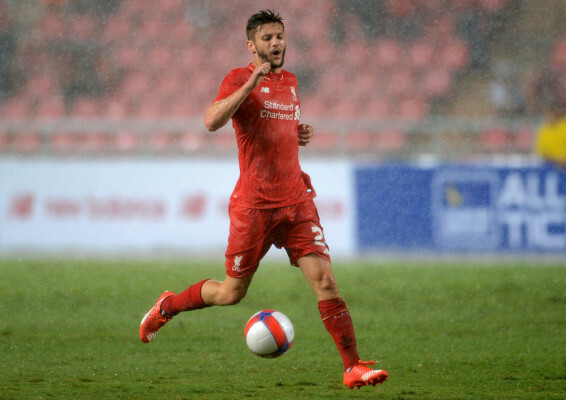 I loved Adam Lallana when Jürgen Klopp first arrived at the club, with the former Southampton man’s pressing being reflective of what the German wanted to see from his side. We’ve moved on from that, however, and Lallana now slows down the play in a manner in that is detrimental to our performances. The same sort of thing can be said of Daniel Sturridge. Our number 15 was electrifying back in 2013-2014, only missing out on being our player of the season because of Luis Suarez’s insane form. Injuries have taken their toll since, with the player that takes to the pitch nowadays being an entirely different one to the goalscoring wonder of Brendan Rodgers’ most successful season. He can still weigh in with an important goal, as we saw on our visit to Stamford Bridge, but he can no longer lead the line for a Liverpool side that counters at blistering speed. Likewise Nathaniel Clyne was arguably the best right-back in the country at his peak, but now he has to take a touch when he receives a pass in a manner that slows down our progressive play far too much. Nathaniel Clyne’s first touch always takes him the wrong way and he ends up having to pass it back. You might read my opinions on those three and completely disagree with me, which is entirely fair. My point is not to slag them off, but to point out that we all have players we can take or leave lining up for the team. The reality is, however, that our opinions are completely irrelevant. People have been furious lately that the club allowed Clyne to leave on loan at a time when an injury crisis hit, but they fail to realise that the manager almost certainly wouldn’t play him very much anyway. Our hot takes on players don’t mean a thing when Jürgen Klopp is the man who works with these players week-in, week-out. I may not be overly delighted when Lallana or Sturridge’s name is on the team sheet, but I’m still hugely respectful of them and I actively want them to prove me wrong. We might not like certain players but it’s entirely irrelevant to reality. Guardiola’s side have a game more than us this month and if they progress in the FA Cup, which they surely will, then they’ll have another one there, too. The extra game this month might ‘only’ be Newport, but it’s not as though Pep can just send his assistant manager along and only use the youth players. It takes time away from training and senior players will be involved in it. They also can’t keep getting the easy draw, so their next FA Cup fixture might require the Spaniard to play an even stronger team. It’s why all Liverpool fans should be hoping that they keep progressing in every competition they’re in. Whatever happens from here, this has been an exceptional season from Liverpool. We need to be very careful to ensure that don’t downplay it and suggest that it’s somehow been a disappointment if we don’t win a trophy. Language matters and the only language we should be using about the Reds is that of positivity. Five Games To Go: How Should Liverpool See Out The Season?